With the fan support behind “Broad City” (such as my Facebook comrades, who collectively recommended every episode in season one), there’s hope for needed development from the writing of Jacobson & Glazer in January 2015’s season two. Hell, even Poehler’s now-golden “Parks & Recreation” has a first season that is famously avoided by any person who wants to love it immediately (season two, season two!) If Glazer & Jacobson want to establish themselves as unique creators who deserve attention beyond hip reflection, their comedy needs much more. Their amateur buddy set-ups and similar executions won’t help them stick around when the next two buzzy comedians arrive to continue a junky cycle of dull wackiness. 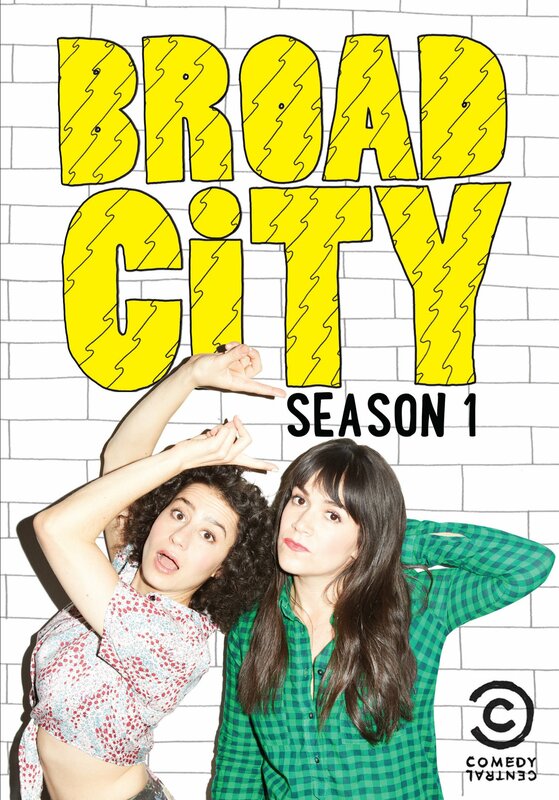 ”Broad City: Season 1” was released on DVD on December 2, 2014. There’s distinctly more ingenuity in writing and performance within “Kroll Show,” a sketch show in the vein of Bob Odenkirk and David Cross’ intertwined “Mr. Show,” if its rapid-fire comedic beats were edited by someone like Doug Lussenhop (who designed the “Tim & Eric” style). With a brand-heavy dub-stepping opening sequence that winks at Gaspar Noé’s “Enter the Void,” “Kroll Show” is an rampantly absurd satire of modern culture. Crappy reality shows that are sponsored by trashy viewership (such as “PubLIZity,” starring him and another girl named Liz played by Jenny Slate) and brands that have lost their integrity are often the basis for sketches that offer weirdness within sharp reflection. (A personal favorite is the fake trailer for the modern military thriller “Drones,” about anticlimactic slobs sitting behind the consoles.) An episode of “Kroll Show,” as broken into three or four segments that switch off during a half-hour runtime, can often make a tight package where jokes don’t overstay their welcome. Kroll’s cultural circus, even when using recognizable foundations, is enlivened with thorough unpredictability, its sketch comedy pushing for the overly bizarre instead of the mundane. The greatest surprise about “Kroll Show” is how it efficiently promotes Kroll from funny supporting actor (such as the infamous douchebag Ruxin on FX’s “The League) to now underrated leading actor. “Kroll Show” not only displays cleverness within a comedian’s lucky time on a half-hour soapbox, but an appropriately physical take on impressions. As standard as they may seem from a joke’s beginning, Kroll’s characters come within a productive context, treating them with a fullness in mannerisms, voice, and line-reading that is altogether bizarre in itself. 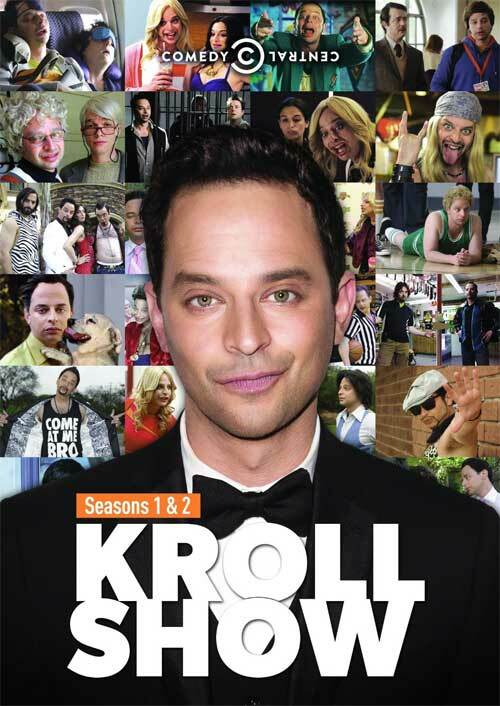 With Kroll recently announcing that “Kroll Show” is going to run for only one more season, this DVD series allows celebration of a talent that deserves more gigs, as he welcomes such potential as the one-man leader of an entire comedy troupe. “Kroll Show: Seasons 1 & 2” was released on DVD on December 9, 2014.